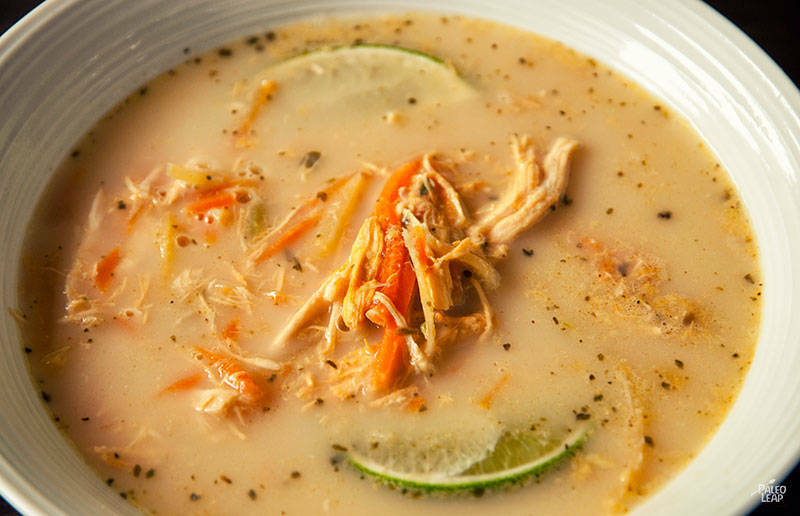 Here’s a flavor-packed way to perk up any leftover chicken hanging around the fridge: give it new life with a creamy coconut milk base, a blend of spicy Thai seasonings, and plenty of lime juice for extra zing. It only takes a few minutes, so it’s perfect for busy nights when you don’t really want leftovers but still need something to keep you going. To make the seasoning, you’ve got two options. Some stores carry pre-mixed Thai seasoning; this is more convenient, but it’s also more expensive. If you’re willing to spend a few extra minutes or can’t find any Thai seasoning otherwise, I’ve also listed ingredients to make your own blend – it’s not complicated, just an extra step. 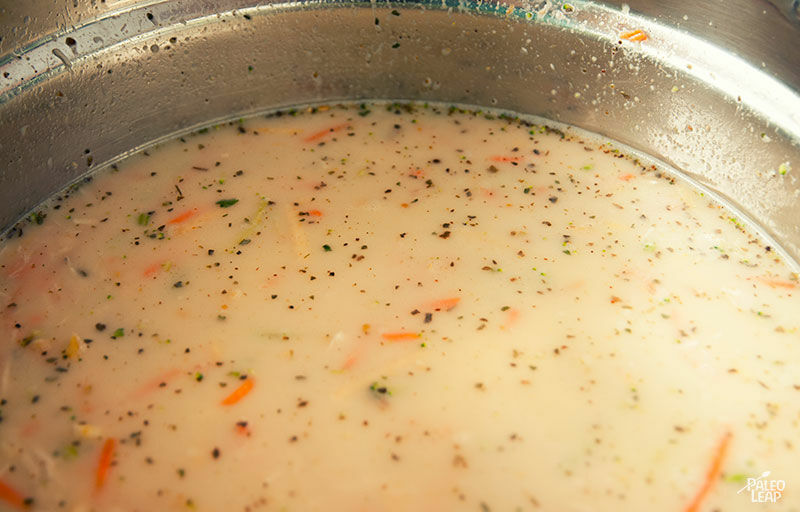 This soup is also an easy way to hide some vegetables if you are (or if you’re cooking for) a vegetable hater. There’s even broccoli in it, but when it’s shredded and mixed with the rest of the soup, it doesn’t really feel like eating a bunch of “roughage.” If you don’t have a food processor or box grater, or any other way to shred the vegetables, you can always make the soup with bigger chunks; it’ll just take longer to cook (test it by trying out a piece of vegetable; it should be tender but not mushy). Serve your soup with pad Thai (or anything else that sounds good), and enjoy!